“Don’t get me wrong”, as my sister-in-law loves to say… neither Florida’s record-breaking cold temperatures (while we were there on vacation in February)….nor its record-breaking HOT temps, (kicking in just as we were leaving, of course), will ever dampen my enthusiasm for the mid-winter charms of the Sunshine State. Any Winter in which Canada’s snowy death-grip is pleasantly interrupted by an opportunity to ride a motorcycle in shirtsleeves is an event that gets a gold star on MY calendar. And THIS February was just such a prize! 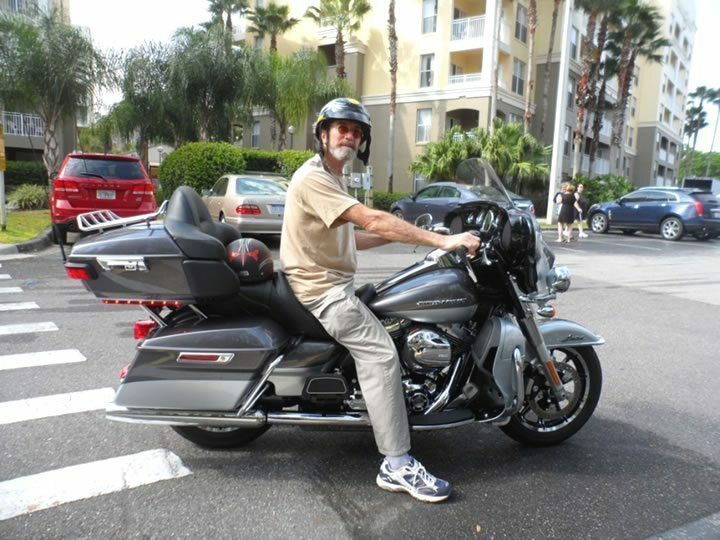 So, after congratulating Adrian (our faithful editor) back in January on his entrepreneurial spirit (read: scam-artistry) in acquiring a rental bike from the friendly folks at Eagle Rider San Francisco, I jumped at his suggestion that I propose a similar arrangement at Eagle Rider Orlando. The only thing nicer than seeing a row of bikes sitting under some palm trees is having just ONE of those bikes ready and waiting for you! Palms trees in the background…Harley in the foreground, and me on top. Life is good. 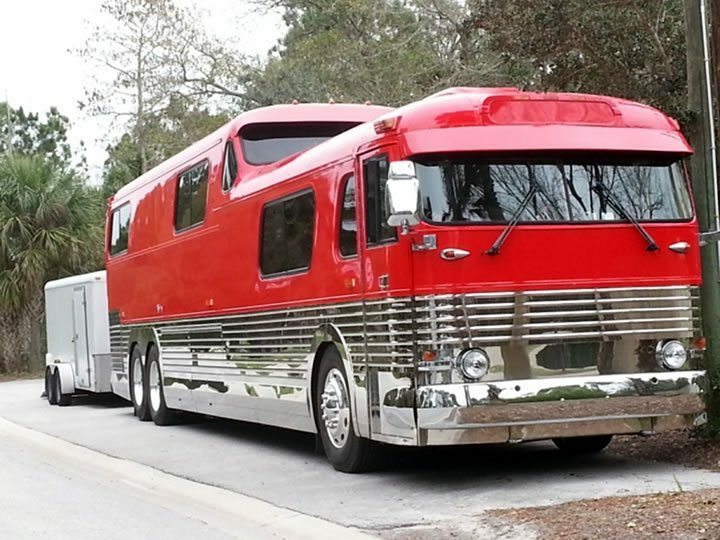 My wife and I had been planning a well-deserved (or at least, highly-desired) pre-Spring break in Orlando anyway, so when Adrian suggested I contact EagleRider Orlando about doing a review on their service, the pieces all began to come together. My in-laws had offered us a freebee week in their Kissimmee, Florida timeshare located near Disneyland, so there was really no decision-making involved. We were more than ready to go… we were willing and able! If you’ve never driven to Florida from Canada in the middle of Winter, trust me, it’s a bit of an ordeal. We were heading south from the Niagara Falls area. It was going to be a couple of days of driving followed by at least one day of recovering. Yeah… recovering. Because, when you drive for eighteen hours over two days, you’re baked. We did ten hours on day one, just to get the worst of it (including possible snow and ice) out of the way. Day two, with temperatures warming and the sun finally making an appearance, made it all worthwhile. 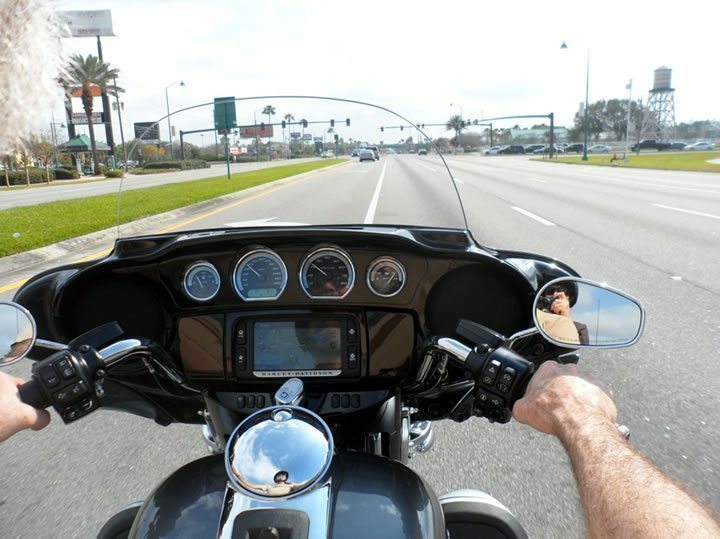 After that amount of time behind the wheel, we were definitely in need of a ride… on a rental Harley-Davidson… in our shirtsleeves… in February! 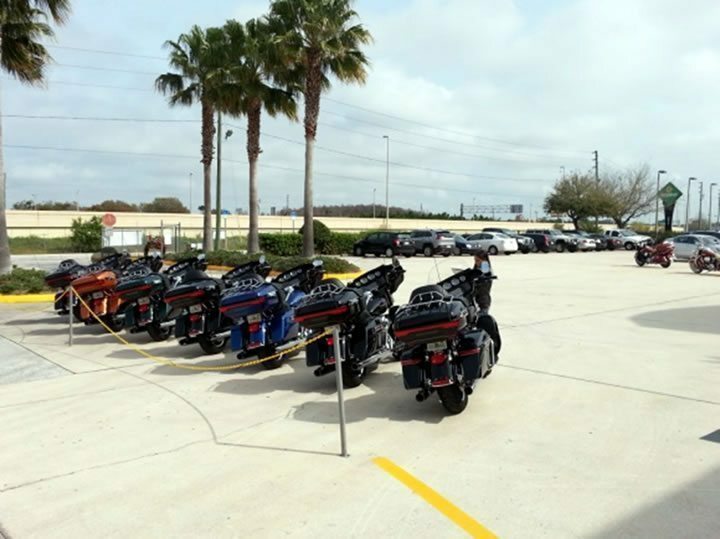 The EagleRider Orlando folks couldn’t have been more professional nor more friendly, which added to the whole motorcycle rental experience. 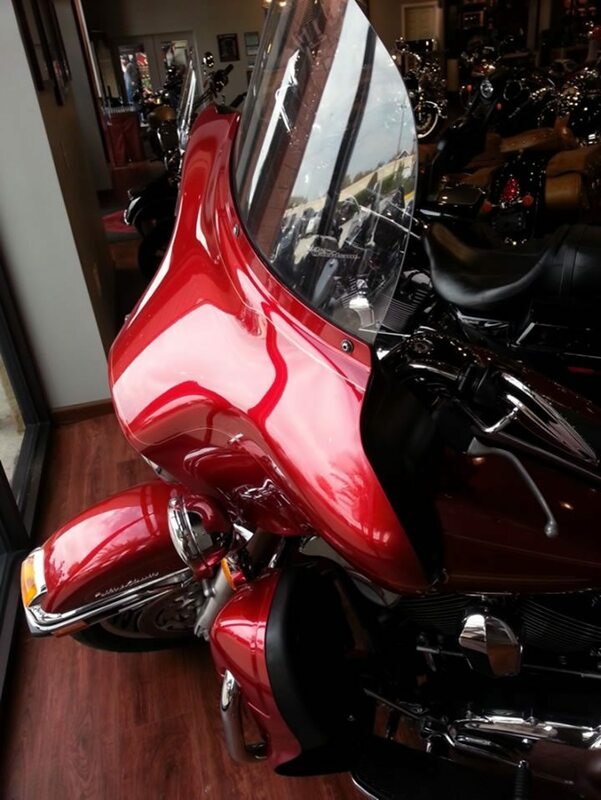 Lead Rental Agent, Mindy, had me initialing, signing, ticking check-boxes and walking out the door to our shined-up-and-ready-to-go Harley-Davidson ElectraGlide before we knew it. 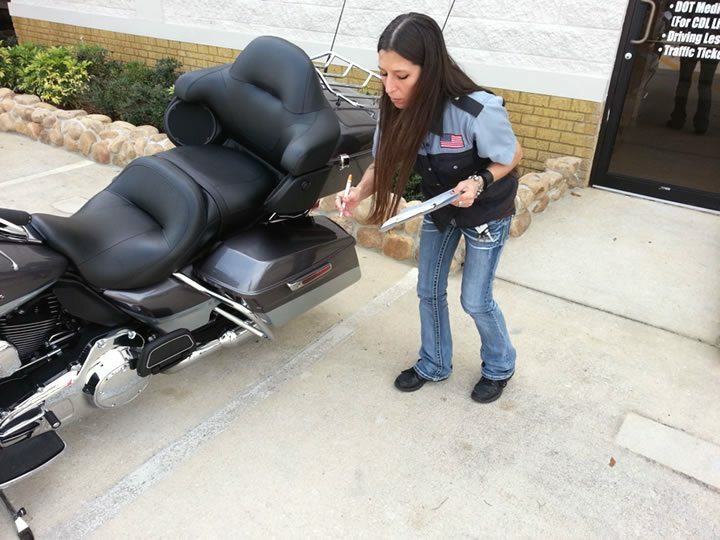 A routine walk-around inspection of the rental motorcycle assures that any existing dents or scratches get chalked up to the previous pilot. A brief guided tour of the dozen or so switches, knobs and dials provides the “basic training” for what may be a new and different ride. Some other time, ma’am; we had worked too hard to get our butts planted in the seat of our sparkling, almost-new, GPS-guided, stereo-equipped Electraglide from EagleRider Orland. We knew we wouldn’t be back in the saddle again until hell thawed out up in Canada… like, June maybe, at the rate things were going this year! Traffic looks light in the shot above, but don’t let the open lanes fool you; once on the infamous Interstate #4, heading for Daytona, my eyes no longer spent any time scanning the wonderfully informative instrument cluster of the our rental bagger. They were glued to the brake lights of what seemed like the back end of every car in Florida…all heading to Daytona. Coincidentally (i.e. not our plan) we had arrived in Florida just a day ahead of the famous Daytona 500, so there were plenty of race fans around, and most of them seemed to be on the highway, in front of us. Leave Winter behind and soak in Florida’s finest. Riding a bike in the opposite of your “normal” riding season is great. Get your fill of 4 AND 2-wheel racing by attending both the “500” AND the “200” Daytona extravaganzas. Explore those crazy “pennies on the dollar” real estate prices. Unfortunately, we only had a week…..so, I guess we’ll have to head back to Orlando next year to work on that list. 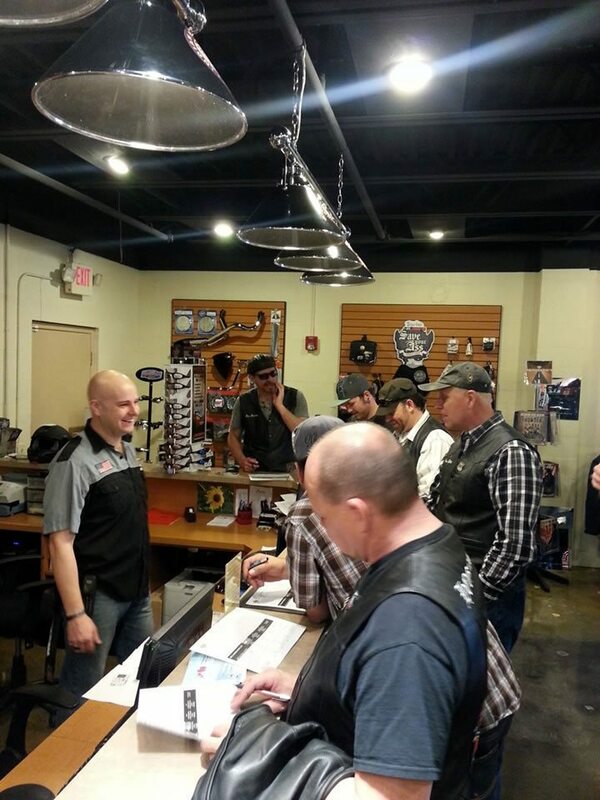 Here’s Matt signing up another group of eager EagleRiders. To make a long story longer, we did eventually make it to Daytona and back to EagleRider Orlando all before the sun set, so I guess the traffic really wasn’t any worse than the 401, the QEW or the LA freeway. It just always seems worse when you’re on a nice clean bike and you’re trapped by CARS! So would we do it again? You bet we would. The EagleRider Orlando folks were friendly and efficient, the price was right and the thrill of riding in February was all these “Northern kids” from Canada could stand! 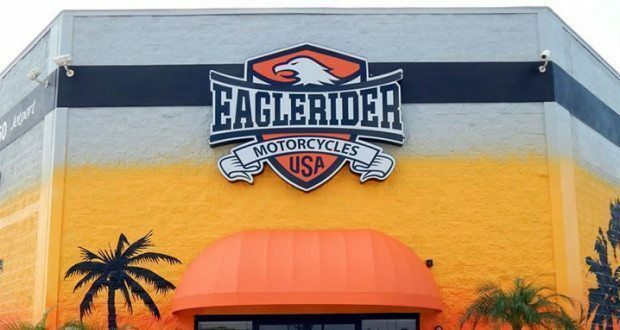 It was almost worth the trip over to EagleRider Orlando’s showroom just to drool over the inventory… but you should rent a motorcycle when you’re there anyway. You won’t regret it. 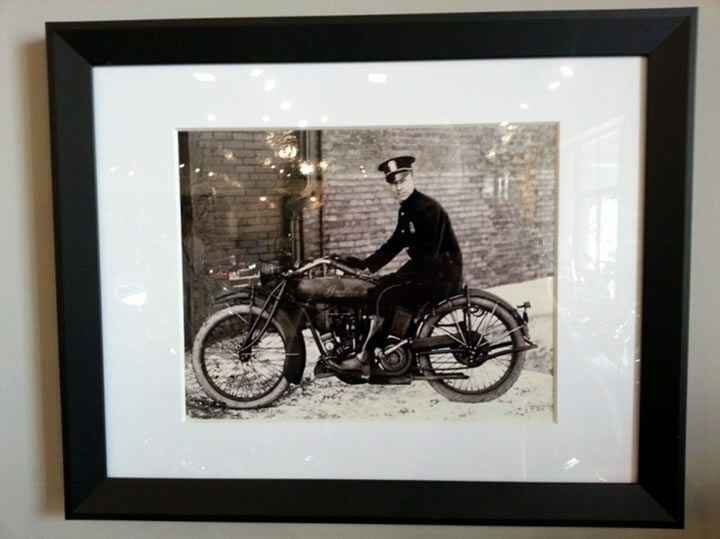 PS: I’m not saying Eagle Rider’s been in business a long time….but they do have a commemorative shot of their first customer on the wall. Michael is a retired advertising and marketing guy who's ridden and raced in Ontario and Alberta. He's a past president of the Kitchener/Waterloo Cycle Sport Association where he and an enthusiastic core of other active members promoted many motocross and flat-track events, often breaking new ground on what were previously "horses-only" half-mile ovals. 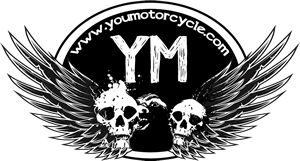 A veteran instructor of the Canada Safety Council Motorcycle Training program at Niagara College, Mike now resides in "Scenic Port Dalhousie".